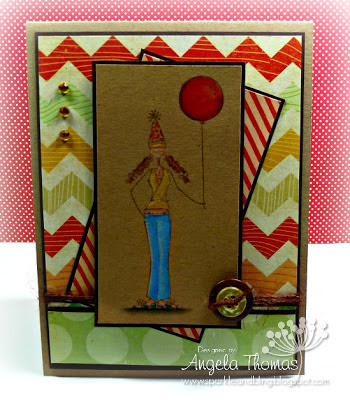 Get ready to play along with the next Stamping Bella challenge? The theme for next week is "For the Boys." 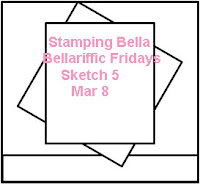 Email Emily (emily@stampingbella.com ) with your entries by the end of Thursday, March 15th to see your work on next week's blog post AND be in with a chance of winning the prize for contributing ($20 Bella Bucks)! I'm gonna get my prismas out tonite - I love how you've coloured them on kraft! 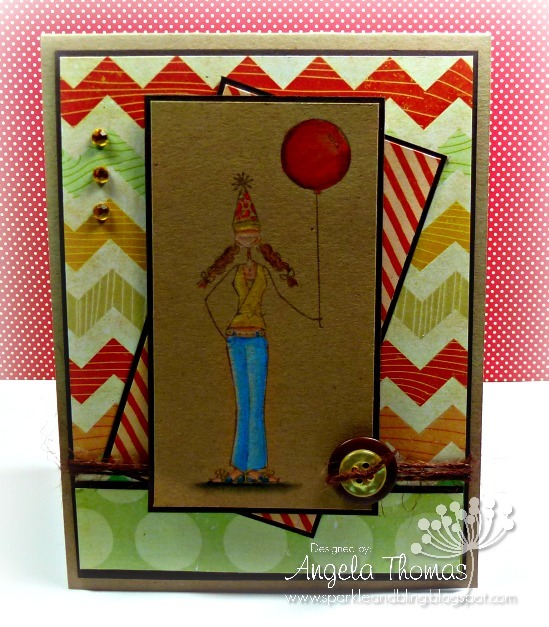 A really fab card, Angela! The coloring on the craft background is outrageous. I just love it.